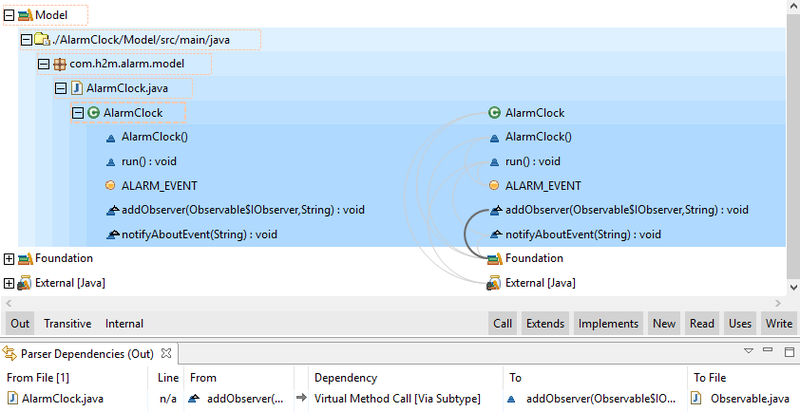 When a license in use contains the Sonargraph Architecture feature, the Exploration, Graph, Cycle and Dependencies views will use a set of colors to show whether the edges (or dependencies in the case of the Dependencies view) contain architecture violations or not. Green Color: All underlying dependencies comply with the architecture. Yellow Color: At least one but not all of the underlying dependencies create architecture violations. Red Color: All underlying dependencies create architecture violations. Besides these 3 colors, views can eventually show some dependencies that will always be grayed. This means that these dependencies are not taken into account by the architecture check, thus they are neither allowed nor violating dependencies. 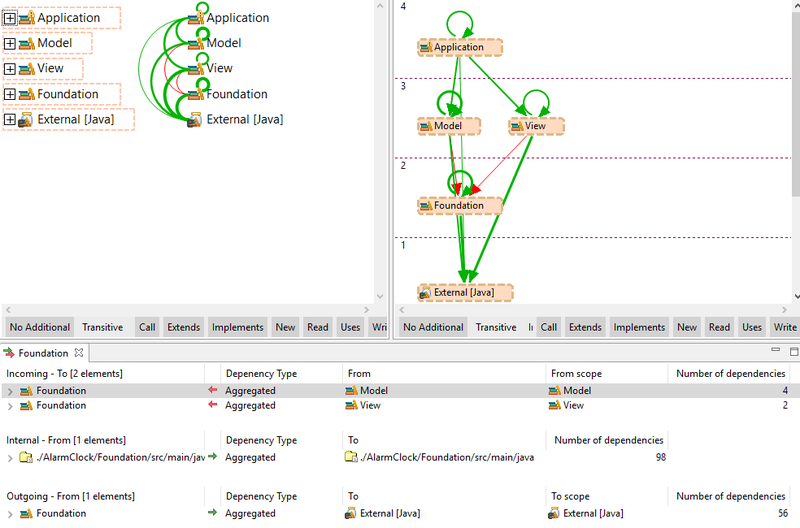 In the case of the Exploration Graph and Cycle views the selection will cause edges to display or hide their architecture-related color. If a node is selected, its incoming and outgoing edges will reveal their architecture-related color, all other edges will be grayed. If an edge is selected, it will be the only one revealing its architecture related color and the rest of them will be grayed. This is of course assuming that a license containing the Sonargraph Architecture feature is installed, otherwise, incoming and outgoing edges of selected nodes as well as selected edges will have a darker gray color whereas all other edges will have a lighter gray color. This is also the case for Workspace Dependencies and Include Dependencies views, where edges will always be presented in gray-scale colors.